This corner of paradise offers many ways to recreate and relax. As one of the most beautiful areas in the country with river, ocean and mountain adventure you will find yourself in the heart of the great outdoors. You'll learn to love these activities and find some of your own adventures to love too! In addition to all the amazing opportunities listed below, be sure to check out one of the best resources in Curry County, Travel Curry Coast for more information about growing, living and playing in Curry County. Access to world class golf is just a short drive along the coast. From world class resorts to modest local courses - you'll experience a wide range of invigorating, challenging golf while soaking in the clean sea air of the coast. Bandon Dunes is true to the spirit of Scotland's ancient links. Here, players immerse themselves in the traditions of a timeless game and the grandeur of Oregon's rugged coast. Sweeping, untamed shores stretch for miles. Primeval grassy dunes roll to the sea. Four distinctly different courses have been conceived in harmony with the natural environment. They combine with all the essential elements to reveal a new golf experience every time you play. The soul of the game resides here. Players walk. And at the end of the day, gracious hospitality comforts each guest like a warm, friendly embrace. This is Bandon Dunes. This is golf as it was meant to be. Salmon Run Golf Course is a golf retreat unlike any other in the Pacific Northwest. Located in beautiful Brookings Harbor and set in a maturely wooded area, this course is accented by panoramic views of the surrounding countryside. 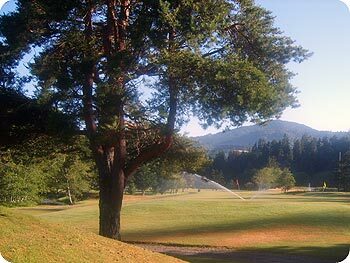 This 9-hole mentally engaging course near Gold Beach features 3,000 yards of golf from the longest tees for a par of 36. Each green includes two flags - one for the front nine, one for the back nine. With the two flags on each green and some tee boxes that change between the two nines, Cedar Bend has the feel of an 18-hole golf course. Designed by John Zoller, the course opened in 1971. The short layout will reward good shots and provide a fun golf outing for everyone. Golfers must consider the combination of elevated tees and greens, along with the creek and little mounds adjacent to several greens. World class fishing can be found year round on the Southern Oregon Coast. 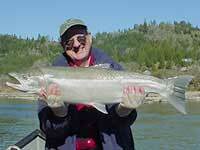 River fishing (powering upstream or drifting downstream) nets Salmon (King, Chinook & Coho) and Steelhead. The ocean provides Lingcod and Rockfish for your catching enjoyment. Books can (and have been) written about the incredible beaches found in and around Curry County. Spectacular stretches of sand, magnificent sea stacks, crashing surf....is yours for the taking! Gold Beach is synonymous with jet boats and is the gateway to the Wild & Scenic portion of the Rogue River. 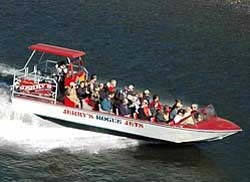 Departing from Gold Beach is the only way to get jet boat access to this pristine "Wild Section." The trips are considered a must-do during any Gold Beach visit - at least in the months between May and October. Oregon Coast Trail - The majesty of Oregon's coastline unfolds around every bend along the 382-mile Coast Trail. Hikers cross sandy beaches, meander through forest-shaded corridors and traverse majestic headlands. Gold Beach Trails - Coast, river or wilderness? How about all three in one hike? This area is a Mecca for those who love to be out in nature at its most… well, natural. 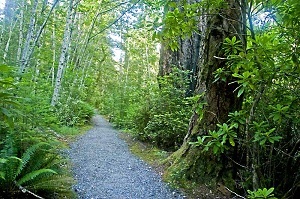 Brookings Trails - Visit Salamander Lake, Vulcan Peak & Lake, or more of the Oregon Coast Trail. Just a few of the beautiful trails near Brookings/Harbor. Redwood Trails - Home to many of the world's tallest trees - old growth coast redwoods can be found with just a short drive. Find out more about local National Forest hiking trails within the Gold Beach Ranger District of the Rogue River Siskiyou National Forest. 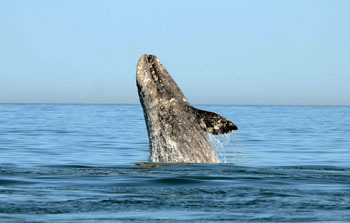 Oregon's Whale Watching Program - People come from all over the United States to learn about the gray whales that migrate past our coast each year. A wide spectrum of artists have been seduced by the beauty and temperate climate of the stretch of Pacific Coast which runs from Klamath, California to Port Orford, Oregon. You'll find more information about local artists and the art life on the coast on the WildRiversCoastArt.com blog developed by a popular local artist. In addition to the spectacular Highway 101, many other scenic routes await you. Whether you experience Gold Beach scenic drives, some of the driving tours throughout Oregon, or through the Redwoods near Crescent City, you'll find yourself drawn back to the mighty pacific ocean and the Southern Oregon Coast. You'll discover many wonderful worlds in tidepools. In fact, these unique environments are full of fascinating plants and animals. 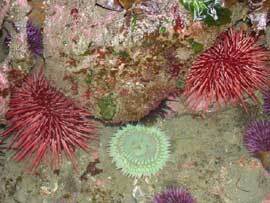 Curry County has some easily accessible and popular tidepooling areas.. Historically, lighthouses have been used to mark dangerous coastlines, hazardous shoals and reefs, and safe entries to harbors. There is something fascinating and mysterious about light houses that you must experience for yourself and you'll have plenty of opportunity from your starting point in Curry County. There are eleven lighthouses standing strong along the Oregon coast and five along the Northern California Coastline. See the vast variety of birding opportunities along the scenic seascapes of the Pacific Northwest. Whether you make your trip a one day adventure or a week or more vacation you will be impressed by the wonders of the Oregon Coast Bird Habitats. Rogue River Canyon rafting ranks in the top 10 of Whitewater Rafting vacations in the United States. People come from the world over to vacation in Oregon and go on a Rogue River Canyon rafting trips. You'll often see bicyclists touring the coast along Highway 101. What a wonderful way to explore the many nooks & crannies of this spectacular area! Whether you explore the paved roads, the hundreds of miles of unimproved Forest Service roads, or over 500 miles of forest trails on your rugged mountain bike, you'll find unlimited biking adventure through forest and open landscapes on steep or gentle terrain. The Oregon Coast offers a plethora of campgrounds in amazing settings. You can spend a lifetime exploring these fantastic locations - and what fun trying to see them all! Formed by the ancient forces of wind, water and time, Oregon's dunes are the largest expanse of coastal sand dunes in North America and they hold numerous opportunities for adventure and solitude. Take a tour through a marble cave. Learn and discover how the geology, fossils, cave life, bats, watershed, old-growth forest, and human history make Oregon Caves significant. Crater Lake has inspired people for hundreds of years. No place else on earth combines a deep, pure lake, so blue in color; sheer surrounding cliffs, almost two thousand feet high; two picturesque islands; and a violent volcanic past. It is a place of immeasurable beauty, and an outstanding outdoor laboratory and classroom. Enjoy this walk thru Safari, where visitors meet, pet, film, and walk among hundreds of free-roaming wildlife located approximately one hour North of Gold Beach. Visit nature's home for wild sea lions and a variety of sea birds. The vast cavern with the roar of the great Steller sea lions, the cries of the wailing birds, and the restless surge of the ocean into the cave below, form an unforgettable experience. Perched on a scenic bluff above the Pacific Ocean, Shore Acres (approximately 1 1/2 hours north of Gold Beach) began as a private estate with luxurious gardens featuring trees, shrubs, and flowering plants brought from around the world. It later was purchase by the State of Oregon for use as a public park. Here you'll find a botanical paradise surrounded by oceanic vistas.